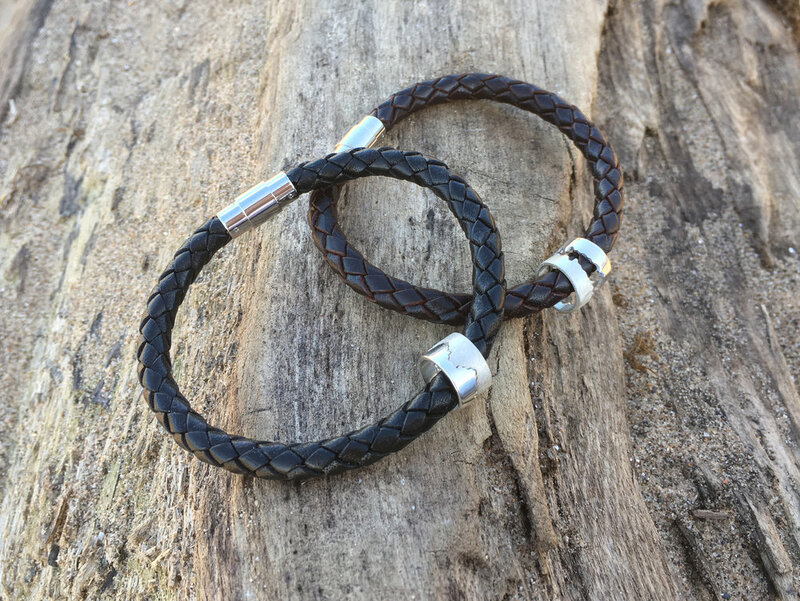 Inspired by the wild scenery that’s right on my doorstep, I’ve mixed rugged leather with my personalised silver jewellery to launch a brand new pair of bracelets. Designing these I really had the men in mind. The bracelets are understated but smart, with a sterling silver ring attached to each leather bangle. In signature style I personalise every silver ring by cutting it into the shape of a coastline, making a wearable reminder of special times and places. Each piece I make is hammered and sculpted in the workshop, taking a couple of weeks to make. It’s a process that takes time, but to me we’re creating something with great meaning that can’t be found anywhere else. That makes it feel incredibly important. Just like the rest of my range, the bracelets represent special times, places and moments. For someone with serious wanderlust, or who has a place that means alot to them, it’s the chance to wear it every day. I love the idea that you can carry memories and feelings with you, immortalised in a piece of jewellery. If you’d like to order a bracelet, or other personalised item, please do get in touch with Hannah at hannahlouiselamb@yahoo.co.uk. I’d love to hear your story and translate it into a piece of personalised silver jewellery that will mean more than words to whoever wears it.